More than 1200 delegates to the National Muslim Conference from across Bulgaria re-elected Mustafa Hadzhi as Chief Mufti on January 24 2016, and while the vote was unanimous, the conference did not escape the controversy that has dogged the country’s Muslim community since the end of the communist era. The saga of contests over the post of Chief Mufti, spiritual leader of Bulgaria’s Muslims – who make up about eight per cent of the country’s population and the vast majority of whom are Sunnis – has seen a succession of court battles in the past 25 years, led in a rearguard action by Nedim Gendzhev, who was the last communist-era Chief Mufti. There is also a strong political element, given the closeness between the Chief Muftis of recent years and the Movement for Rights and Freedoms, the party led and supported in the main by Bulgarians of Turkish ethnicity. This has been complicated lately by the ousting as MRF leader of Lyutvi Mestan, who is planning his own political project to rival his former party. Mustafa Hadzhi (53), born in Draginovo in the region of Pazardzhik – which in post-communist times would become an MRF stronghold – was first elected Chief Mufti in 1997 at a conference meant to unify the Muslim community following the post-communist era disputes. Hadzhi held the post until 2000, the expiry of his term of office, and was then elected president of the Supreme Muslim Council. When his term of office in that post expired, in 2003 he was chosen as head of the Supreme Muslim Institute. In 2005, he was elected Chief Mufti. The 2005 election was challenged in court. On May 11 2005, a Sofia City Court judge issued five separate rulings in an attempt to resolve the 18-month-old leadership dispute within the Muslim community. The most important ruling was the decision to officially register Hadzhi as the new Chief Mufti. The dispute had broken out as a result of the 2003 election of two different chief muftis by bodies which both claimed to represent the Muslim community. 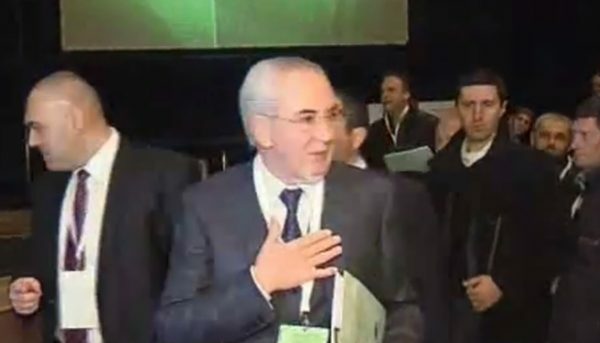 One of the 2003 conferences elected Fikri Sali as the new chief mufti to replace Selim Mehmed; Sali formerly held the position from 1992-94. The other conference was convened by former chief mufti Nedim Gendzhev, and selected Ali Hadji Saduk to replace Mehmed. Both conferences submitted documentation to the Sofia City Court listing their respective candidates as the new chief mufti. A registration controversy ensued, leaving no legally recognised successor to Mehmed. On March 8 2004, two Sofia City Court rulings annulled the Muslim denomination’s 1997 and 2000 conferences, thereby invalidating the leadership selected by each of the conferences. On July 19 2004, the Sofia City Court appointed Fikri Sali, Ridvan Kadiov, and Osman Osmailov as a triumvirate of interim representatives of the Muslim community pending the settlement of some civil court cases related to the leadership dispute. On November 5 2004, the Sofia Appellate Court overruled the appointment of the triumvirate, stating that the Muslim community’s leadership could be appointed only on its own initiative and not by the Sofia City Court. In January 2005, the Supreme Court of Cassation upheld the ruling; the Supreme Court’s ruling combined with the March ruling of the Sofia City Court effectively restored the pre-1997 Supreme Islamic Council, headed by Nedim Gendzhev, as the legal representative of the Muslims in the country. However, following the Supreme Court’s January 2005 ruling, the Supreme Cassation Prosecution confiscated the case files, which prevented the files from being transferred to the Sofia City Court and thereby delayed Gendzhev’s registration of the new leadership. In May 2005, the Prosecution turned the case files over to the Sofia City Court for 24 hours, allowing the Sofia City Court to pass the five rulings affecting the leadership dispute. Gendzhev immediately appealed against the registration of Mustafa Hadzhi, and the appeal was pending the Prosecution’s release of the case files. Gendzhev has been at the centre of opposition to the Chief Muftis elected after he was deposed in 1991, as Bulgaria emerged from communism. The detractors of Gendzhev say that he had been chosen for the post by the Bulgarian Communist Party. The official website of the Chief Mufti’s office, in its history section, goes so far as to say of Gendzhev that he was the first Chief Mufti “who not only lacked a religious qualification, but also had no elementary knowledge of Islam”. Particular exception is taken to Gendzhev, when Chief Mufti, having handed long-standing communist dictator Todor Zhivkov a declaration in support of the “regeneration process” – a campaign by the communist regime to force Bulgarians of Turkish ethnicity to adopt Slavonic names. The campaign turned violent and saw detentions without trial, allegations of torture and other physical abuses, and led to a mass exodus of Bulgarians of Turkish ethnicty to Turkey. It remains a defining episode in the history of the founding and current outlook of the MRF. An example of the post-communist schisms, with political involvement, in Bulgaria’s Muslim community was in 1995. One conference re-elected Fikri Saleh as Chief Mufti, but a rival conference in 1994 had elected Nadim Gendzhev as Chief Mufti. The then-government of Zhan Videnov, the Bulgarian Socialist Party prime minister of the time whose cabinet would later be brought down by widely-supported protests against the country’s economic and financial collapse, recognised Gendzhev. The divisions were to continue, beyond the 2005-2008 dispute, as conferences of the country’s Muslim community leaders re-elected Hadzhi in 2009 and 2011. In a declaration in 2014, Chief Mufti Mustafa Hadzhi denounced the terrorist group Daesh, the self-proclaimed “Islamic State”. “We do consider that these xenophobic acts of violation, caused by an infantile lust for power, lined with deep unfamiliarity with the supreme moral Islamic virtues and obvious ignorance, is a serious threat for the world peace,” said the declaration, signed by Hadzhi and several other Bulgarian Muslim leaders. Addressing the January 24 2016 conference, Hadzhi said, “we are witnessing attempts to use Islam to carry out the radical views of some people identifying themselves as defenders of the Islamic cause. This leads to the possibility of other attacks against this religion. In 2016, meanwhile, Gendzhev has been continuing to pursue his campaign. In an interview on television on the morning that the conference was due to start, Gendzhev alleged that the conference was “illegitimate”. Gendzhev said that he was confident that the court would not register the decisions of the January 24 2016 conference (Bulgarian law on religious denominations requires faiths and their leaders to be registered at the Sofia City Court and by the Religious Denominations Directorate at the Cabinet office). 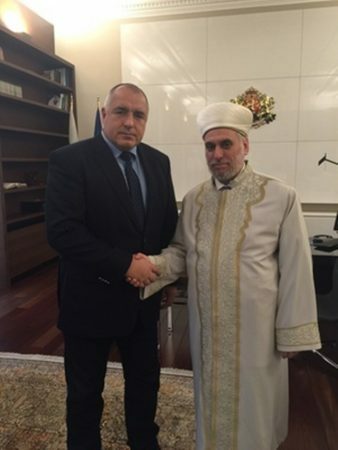 Gendzhev said that the Chief Mufti’s office was “run by Turkey” and representatives of Turkish control were posted at every large mosque and major Muslim school. “They are now rushing to put the Mufti under Turkish leadership and that of Lyutvi Mestan. You will see that those who are now part of this conference will participate in the establishment of the new party of Mestan,” Gendzhev said. The Chief Mufti’s office rejected all the allegations, from lack of legitimacy to dependence on Turkey. The Muslim community in Bulgaria holds the National Muslim Conference every five years, with the 2016 event seeing not only the election of the Chief Mufti but also the rest of the national leadership. Those attending the event at NDK included Mestan and some of his allies, as well as prominent figures who remain within the MRF. Lyutvi Mestan at the National Muslim Conference in Sofia, January 24 2016. 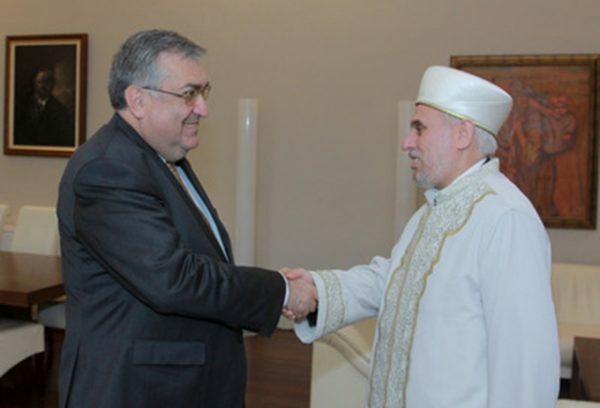 Other guests included Turkish ambassador to Bulgaria, Süleyman Gökçe, the Chief Muftis of Romania and Greece, and the deputy Chief Mufti of Turkey. The date of the 2016 conference was announced by the Supreme Muslim Council on December 13 because the terms of office of the leadership were due to expire. Ahead of the conference, the only official nomination for the post of Chief Mufti was that of Mustafa Hadzhi. In the hours before the conference, reports said that the former head of the Supreme Muslim Council, Vedat Ahmed, also had been nominated. A parallel process to the announcement of, and preparations for, the January 2016 Muslim conference was that of the ructions in the MRF in December 2015. Mestan was ousted as leader and as a member of the MRF on December 24, following his denunciation by party founder and MRF honorary president Ahmed Dogan for taking the side of Turkey in that country’s dispute with Russia over Turkey’s downing of a Russian bomber near Syrian airspace last November. Dogan described Mestan’s declaration in the National Assembly as a “gaffe” and told the executive council where Mestan was axed that he had “betrayed national interests”.